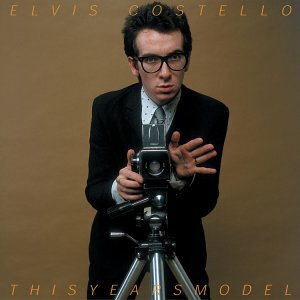 You may recognize those words as the title of an early Elvis Costello song from the album “This Year’s Model” (pictured above.) Or not; especially if you listen to commercial radio. The King Rat isn’t getting too much airplay these days. Come to think of it, he never really did. So what’s a fella to do when he needs his fix of punk rock or jazz standards or bossa nova? Aside from the iPod, what will you play at your next dinner party? The tagline is “listen to thousands of online radio stations for free!” Well, yes and no. I prefer to pay. I don’t have to, but like my support of public radio (another source of jazz), I like to help the folks keep streaming the music I love– commercial free. Using my computer and stereo together, I stream great cool school jazz for dinner parties (“Dimensions in Jazz” is a favorite station), bossa nova for afternoons, classical for Sunday mornings, and Greek music for Easter. Many of the stations are professionally run. So for your next evening, consider the easy and elegant solution to sound-designing your soirée: Live365.com internet radio. This entry was posted in Entertaining, Living and tagged Entertaining, Living, music. Bookmark the permalink.